There was no shortage of question marks when Microsoft announced plans to launch its own line of Surface PCs, but credit where it's due, in the space of five years, Surface has become a benchmark for others in the industry. Surface Laptop is widely regarded as one of the best laptops on the market, Surface Studio managed to rekindle our interest in the all-in-one desktop, Surface Book is arguably my personal favourite, and for maximum versatility the Surface Pro still holds plenty of appeal. 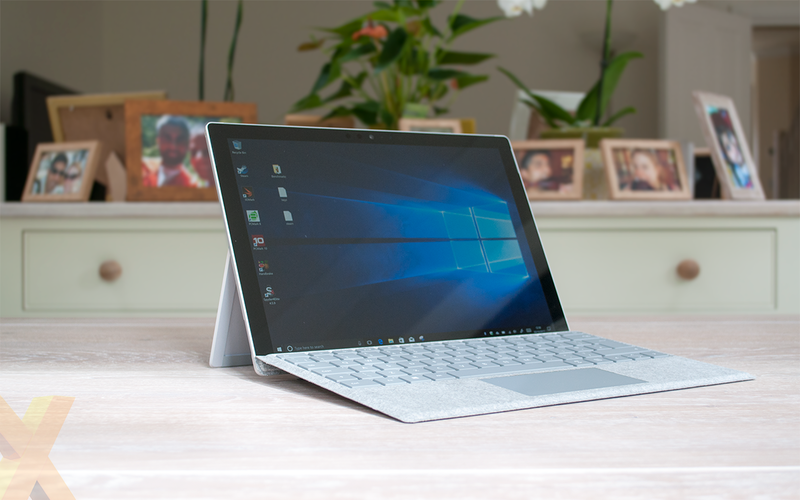 The fifth-generation variant, launched earlier this year as the successor to the Surface Pro 4, may look familiar but carries a number of key upgrades within. 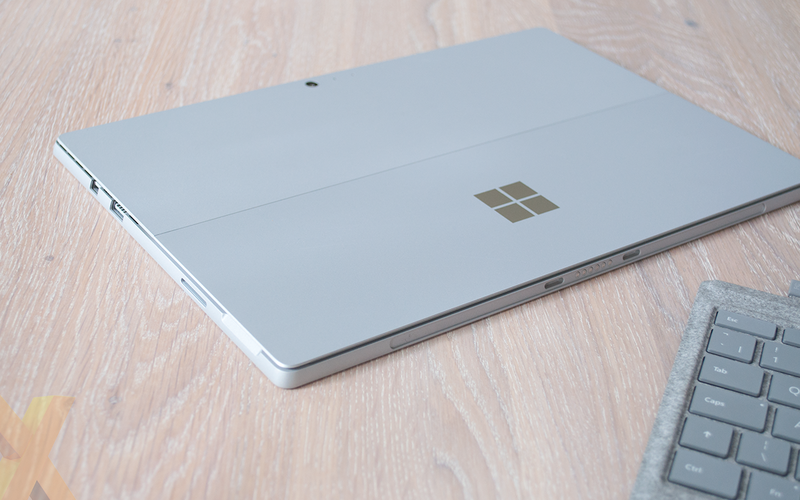 Overall dimensions are practically identical at 292mm x 201mm x 8.5mm, and so too is the 0.8kg weight, yet it is testament to the original design that the latest Surface Pro still looks and feels like a premium device. 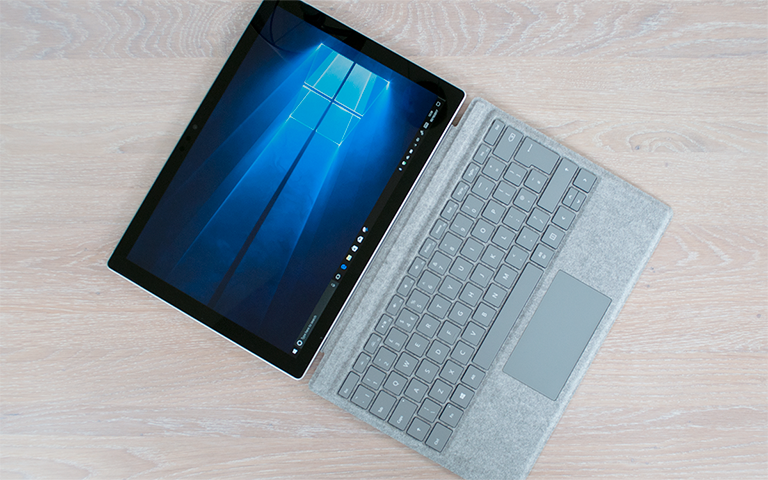 Microsoft has rounded some of the edges to take away the sharp feel of its predecessor, and though there are now plenty of imitations on the market, Surface Pro continues to set the standard through an alluring blend of robust build quality, sleek aesthetics and potent performance in a truly portable form factor. I've yet to come across a PC that is as convenient for travel, and some of the underlying upgrades make the latest refresh better than ever. The kickstand, for example, now opens to 165º, allowing the Surface Pro to serve as a miniature Surface Studio, and yes, it is compatible with that nifty-looking Surface Dial. Road warriors seeking on-the-go flexibility may come for the kickstand, yet they're likely to stay for some of the other hidden improvements. Somehow or other, Microsoft has managed to make the Core m3 and Core i5 models completely fanless, while our Core i7 review sample features a hybrid fan that only occasionally turns on, and barely makes any noise. We don't recall experiencing a Core i7 laptop as quiet as this, and though the chassis does become warm under load, it's never particularly hot, and the top-heavy design is such that heat is kept away from your lap. Low (if any) noise is a major attraction and the noteworthy upgrades don't stop there. Battery capacity has increased from 38Wh on Surface Pro 4 to 45Wh on the Surface Pro, and the Intel CPU at the helm is taken from the seventh-generation Kaby Lake stable, with users having a choice of either Core m3-7Y30, Core i5-7300U or Core i7-7660U. The top-end Core i7 is a dual-core, quad-thread chip capable of speeds of up to 4GHz and comes with integrated Iris Plus 640 graphics to boot. Plenty of oomph, though do be aware that eight-generation Intel CPUs with more cores and threads are now available, increasing the odds of another Surface Pro revision in the near future. Memory capacity ranges from 4GB to 16GB, while SSD options include 128GB, 256GB, 512GB or 1TB, and Microsoft employs a better-than-average five megapixel front camera with support for Windows Hello face recognition and a decent eight megapixel rear camera with autofocus. The star of the Surface portfolio tends to be the touchscreen, and Surface Pro's 12.3in PixelSense panel is a treat. The 3:2 aspect ratio that has become synonymous with Surface products is ideally suited to both portrait and landscape mode - so much so that reverting to 16:9 feels like a downgrade - and the unusual 2,736x1,824 resolution keeps everything looking sharp in either tablet or laptop mode. It is an impressive panel, and the benchmarks later in the review will backup that assessment, yet if we're being critical, we'd argue that the display bezels could be thinner, and our sample does exhibit backlight bleed. The amount of light leakage isn't a deal breaker, but you'd be forgiven for expecting better on a premium machine, and online reports suggest that bleed can vary from one system to the next, so be sure to check if your purchase is affected. Sound quality from the forward-firing stereo speakers neatly hidden in the bezel is surprisingly adequate, but connectivity leaves room for improvement. Surface Pro continues to rely on a headphone jack, microSD slot, mini-DisplayPort and USB 3.0, with Microsoft dragging its heels on USB Type-C for well-publicised reasons. Still, it's handy having full-size USB Type-A (plus there's another port on the PSU for charging duties), and we like the fact that the magnetic Surface connector has been maintained through generations. This remains a formidable ultra-portable PC, yet what makes Surface Pro stand out from the competition is the range of available accessories. The optional Signature Type Cover, available for £150, is a remarkable showcase of how good a keyboard can be in a small form factor. 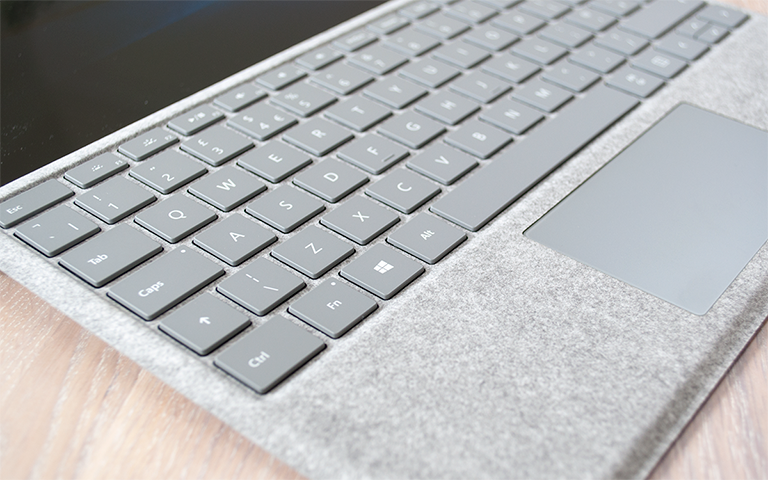 Doubling as a protective lid, it offers perfectly spaced keys with even LED backlighting, and the Alcantara fabric coating feels so much better than cold plastic. You'd do well to find a better keyboard on a device of this size, however the accompanying trackpad isn't particularly roomy, and the integrated trackpad buttons are noisier than we'd like. Another recommended input device is the Surface Pen, which now supports 4,096 pressure levels (up from 1,024), added tilt support and lower latency. The Pen brings Surface Pro to life in tablet mode, aided by Windows 10's improved inking capabilities, but there is a snag in that it is no longer included as part of the standard bundle. 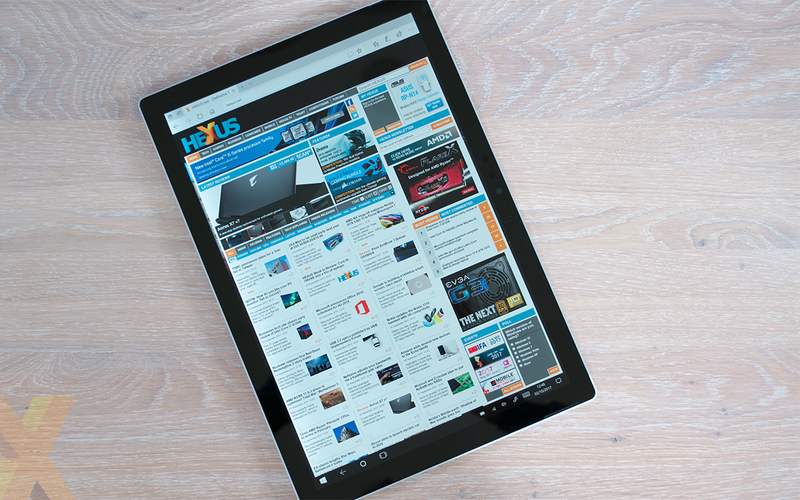 Surface Pro is sold as a standalone tablet, and total cost remains the most significant hurdle for mainstream consumers. Prices start at £799 for the entry-level Core m3 model with 4GB of memory and a 128GB SSD. The Core i5 model with 8GB of memory and a 256GB SSD, which we reckon to be the best fit for most users, fetches £1,249, while our Core i7/16GB/512GB review sample costs a staggering £2,149. Remember, those are tablet-only prices, so you'll need to add at least £125 for a Type Cover and £100 for a Surface Pen in order to get what we'd call the complete Surface experience.